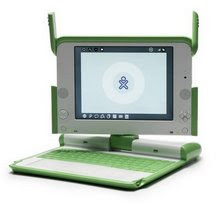 OLPC Foundation expresses condolences to the families and friends of those lost in the earthquake and tsunami of September 30. NZAID has set up a website tracking relief and appeal efforts here. We offer our unreserved solidarity with the people of Samoa and Tonga at this difficult time and look forward to contributing to the effort to rebuild. Aqui no Brasil também estamos tristes com oque está acontecendo aí, mesmo de longe estamos acompanhando e torcendo por dias melhores p/ vcs. "Here in Brazil we are also saddened by what is happening there, even from afar we are following and hoping for better days p / vcs."